Something is fishy about a woman with fins. This is my entry for this weeks theme, more work to be done on Mermaid. More to come…. 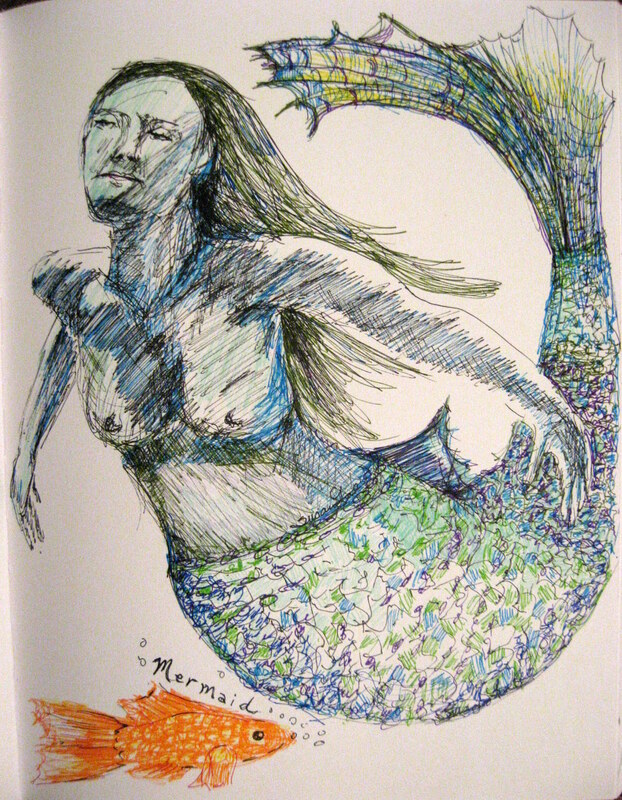 This entry was posted in Picture Frame Hardware and tagged art, Calgary, Illustration Friday, mermaid, pen and ink, Susan Fae Art. Bookmark the permalink. I love the line work! Thank you, using pen & ink is one way of getting a quick drawing down on paper.